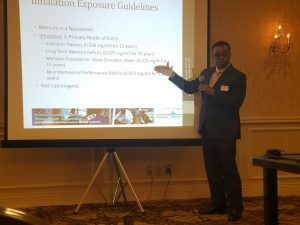 Management of Mercury in Gym Floors | Environmental Safety Management Corp.
From the 1960’s to the late 1990’s many gym floor manufacturers included mercury in rubberized gym floor products as a catalyst to help keep materials flexible over time. It is estimated that many thousands of educational institutions ranging from K-12 Public and Private Schools as well as Community Colleges and Universities across the country installed these mercury containing floors. In recent years, increased awareness of this issue has resulted in the need for Professional Risk Assessments, Certified Industrial Hygiene sampling and monitoring and Management of mercury exposure. Unfortunately, few environmental consultants have the professional experience, formal training, or the expertise to deal with addressing this complex issue which has significant exposure, health, risk assessment and risk communication challenges. Who you Call First Matters! When a community discovers the potential for mercury in their children’s gyms, getting the details right really matters. Many consultants often use our methods and language to write their reports and bids, however, our experience has proved that every situation is unique. If getting it right matters to your district, then Who you Call First Really Matters! Make the Right Call! Call the Leader! Please fill out our contact form or call Dr. Lynch directly at (856) 764-3557.